New Komatsu PC210 Long Reach Arm, complete with 1 bucket and 16m reach! Want peace of mind when purchasing your machinery?. from around the world. Over the past 25 years we have developed strong relationships with our overseas suppliers so that we can provide a genuine and reliable product to our customers. 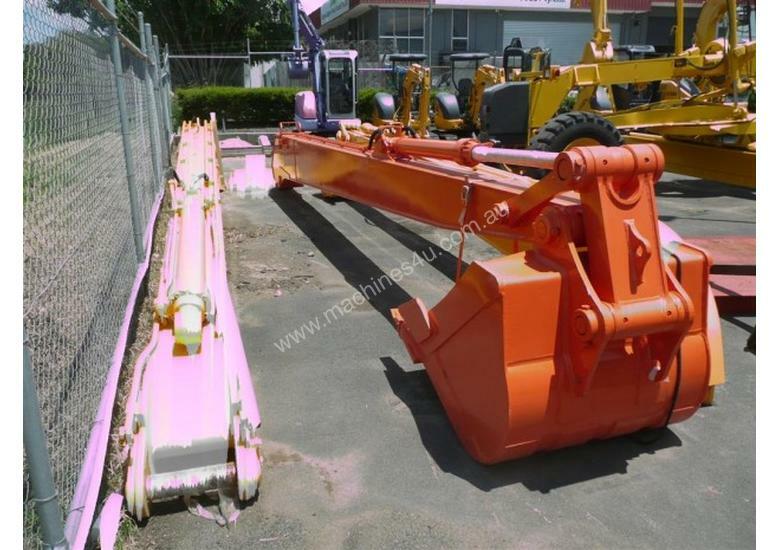 BMES is a family owned and operated business it has been established since 1993, we have a strong background knowledge in this industry Michael Collins the company's director has been involved in the mini earthmoving industry since the early 1980's. Brisbane Mini Excavator Sales are your industry experts.